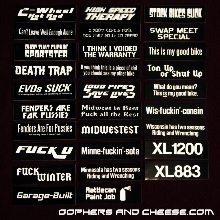 I saved the oldest for last. 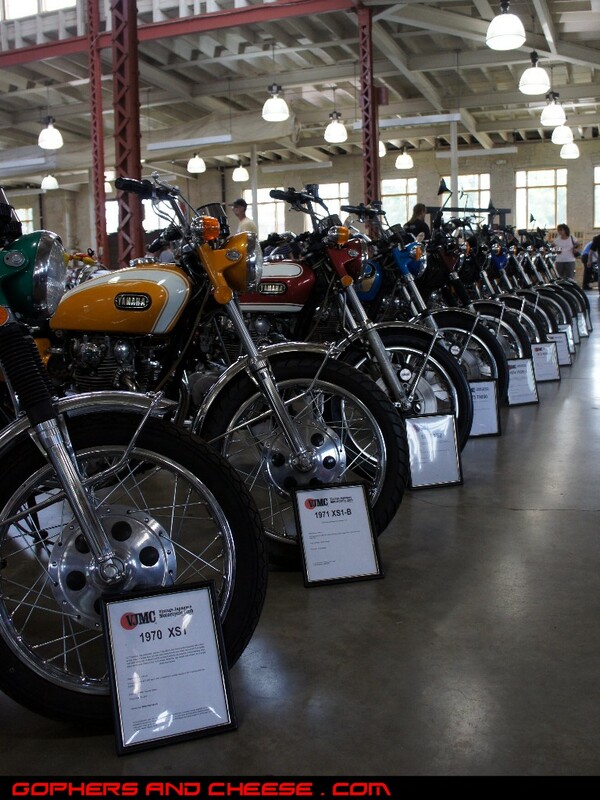 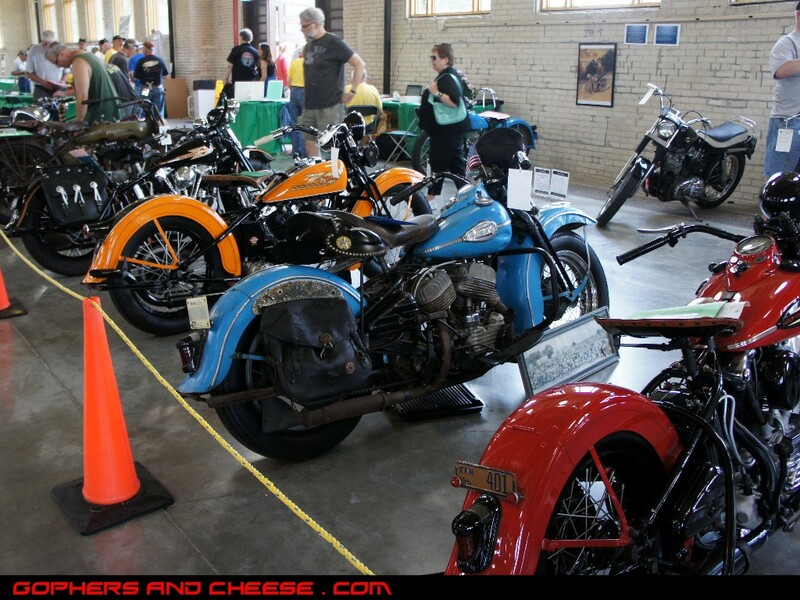 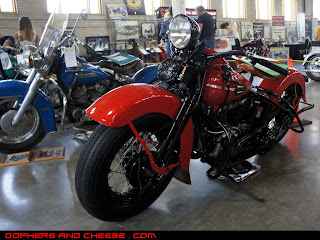 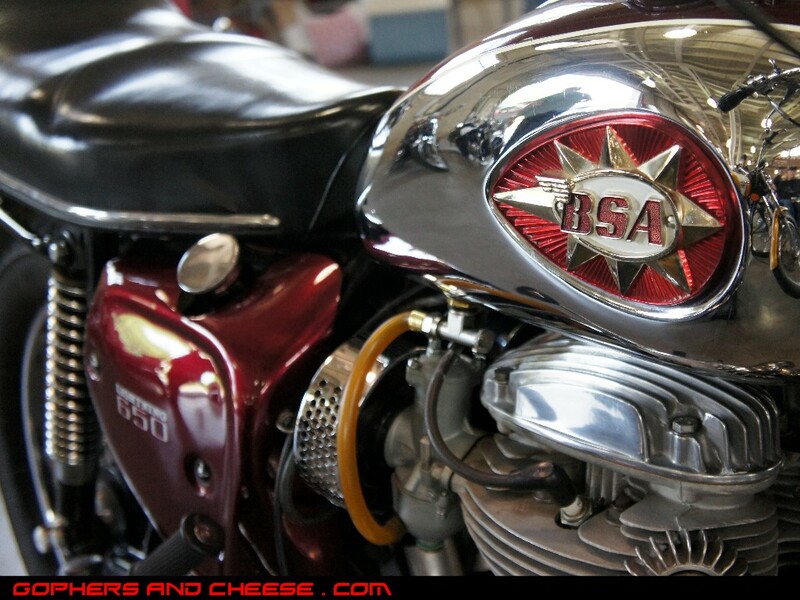 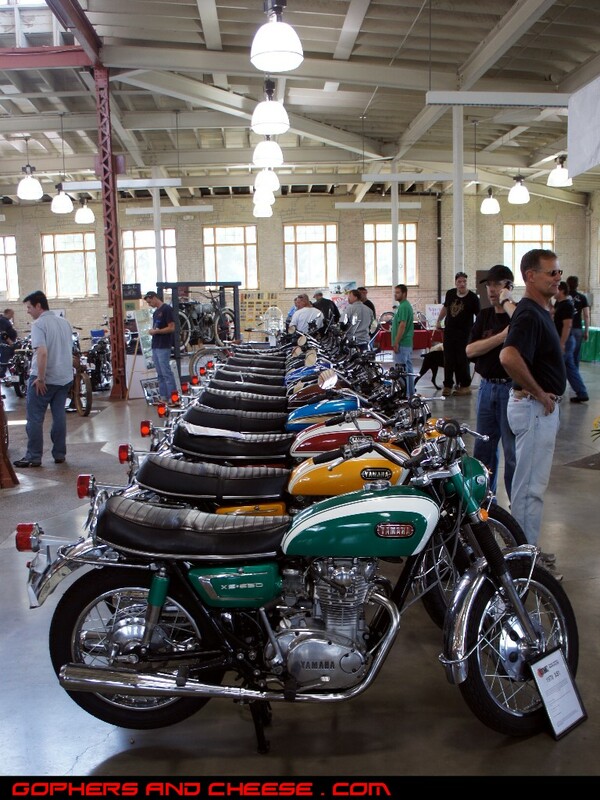 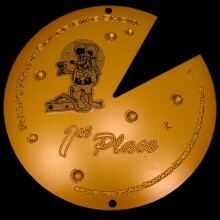 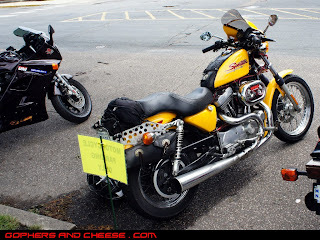 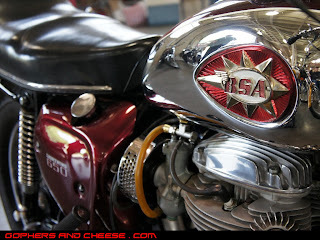 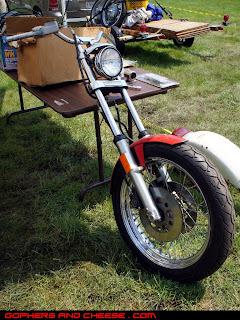 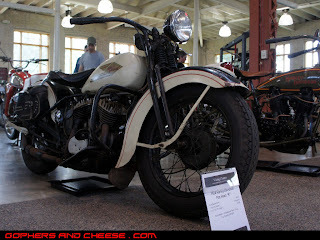 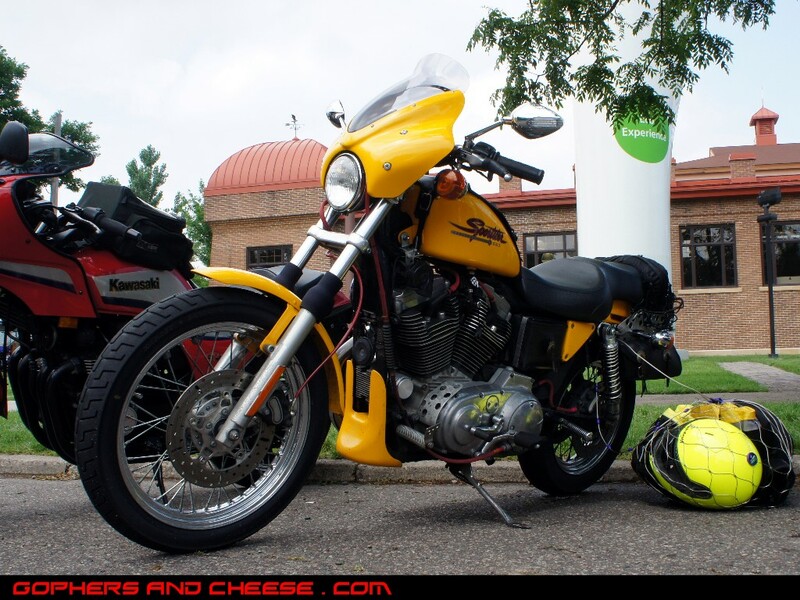 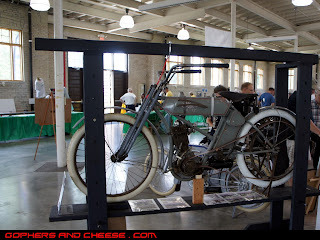 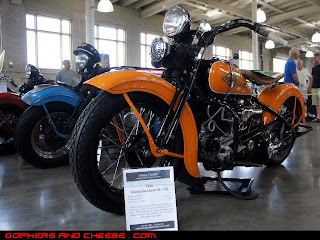 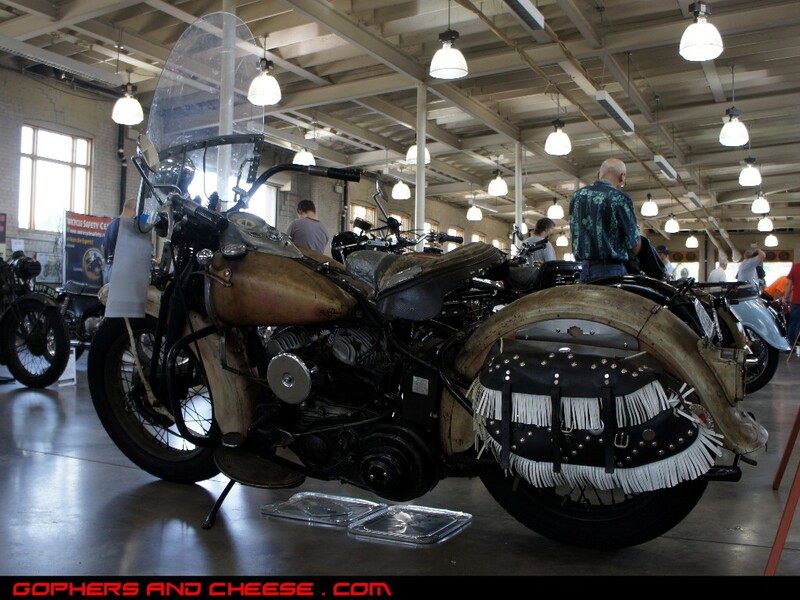 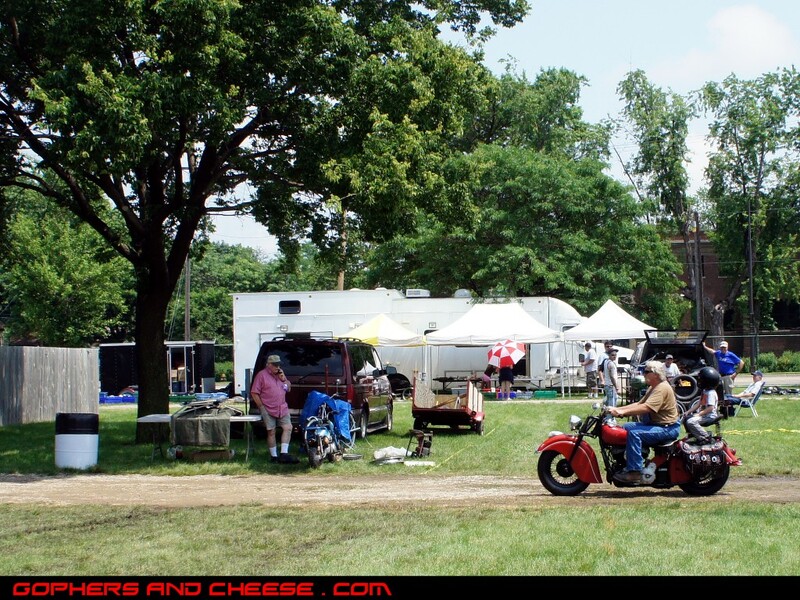 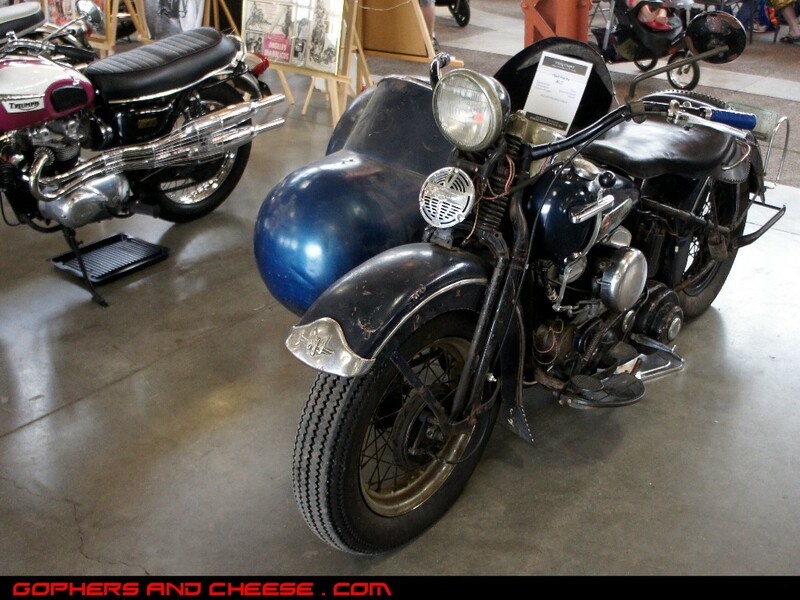 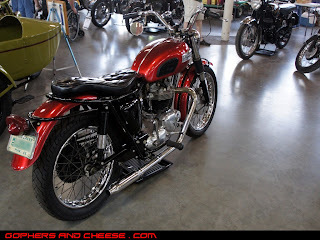 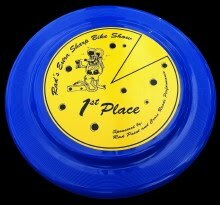 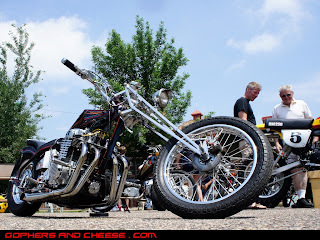 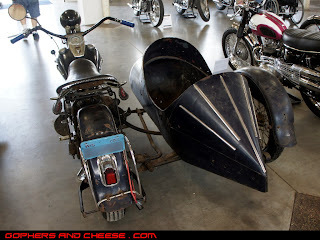 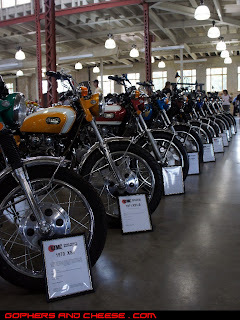 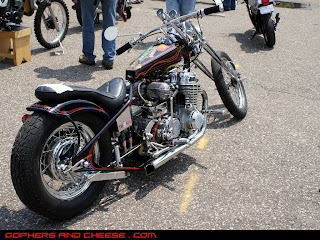 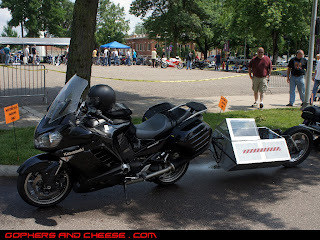 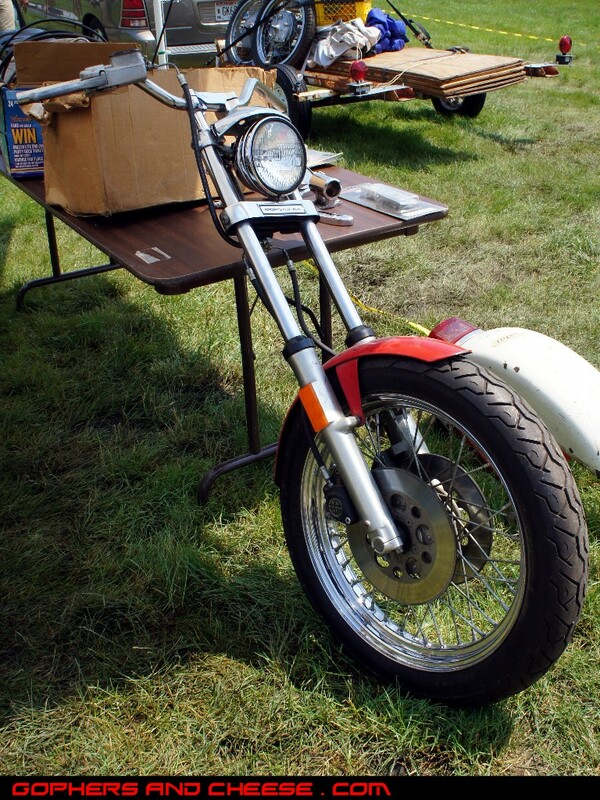 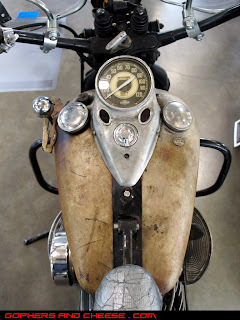 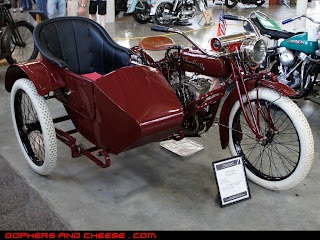 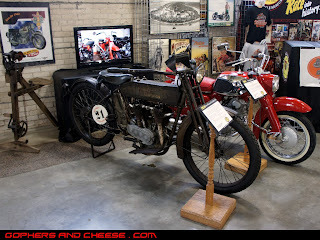 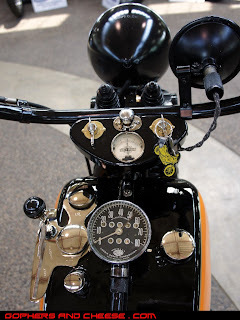 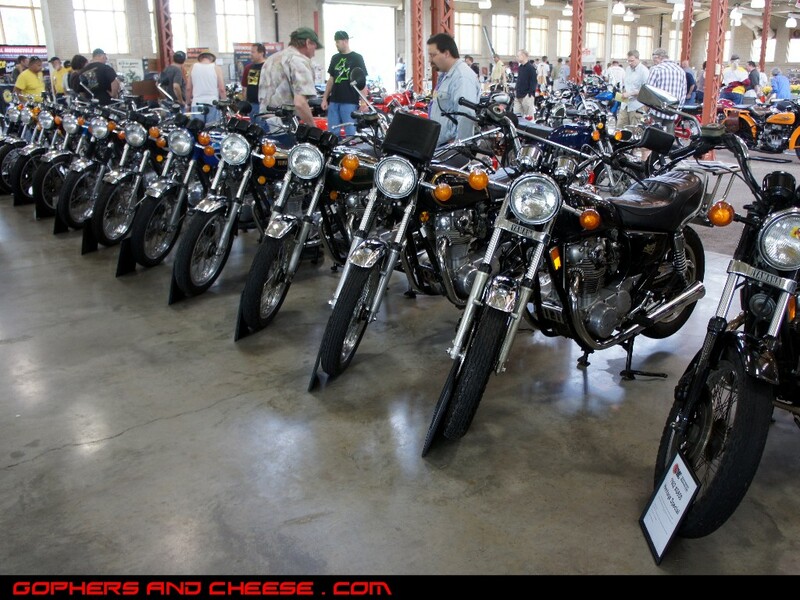 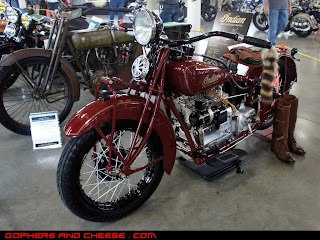 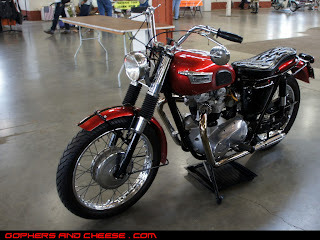 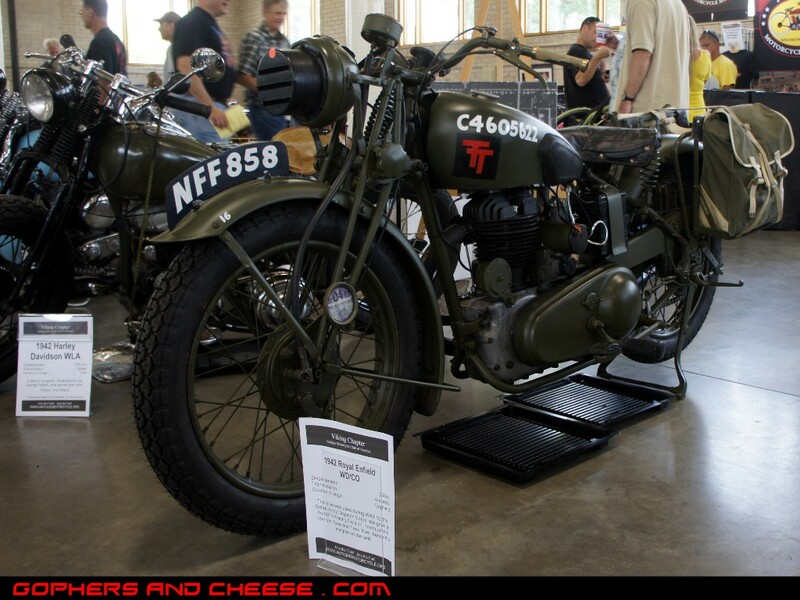 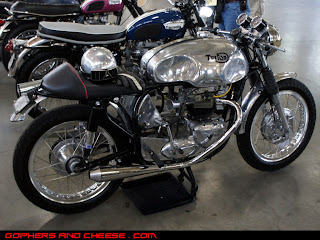 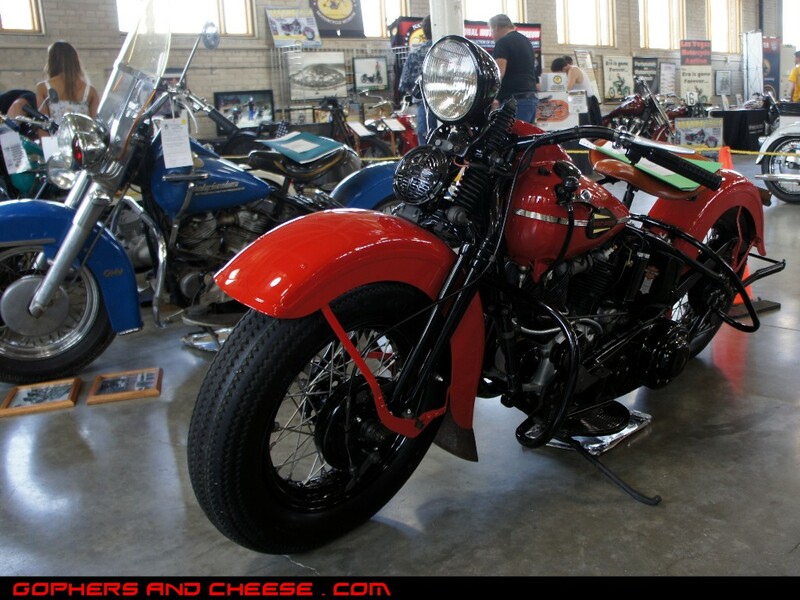 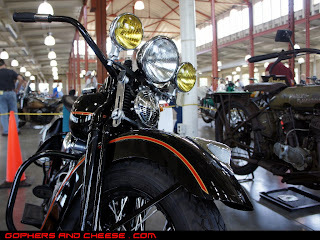 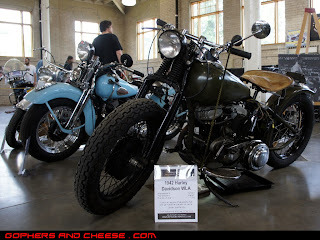 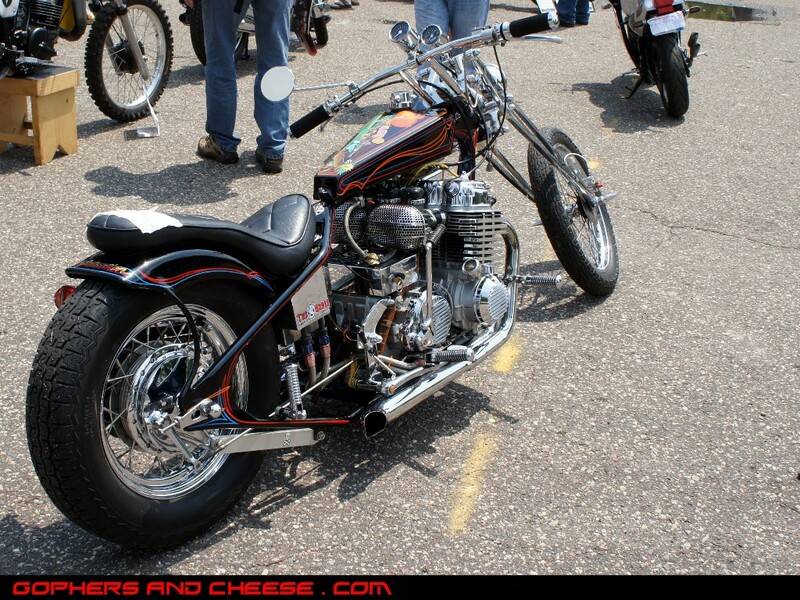 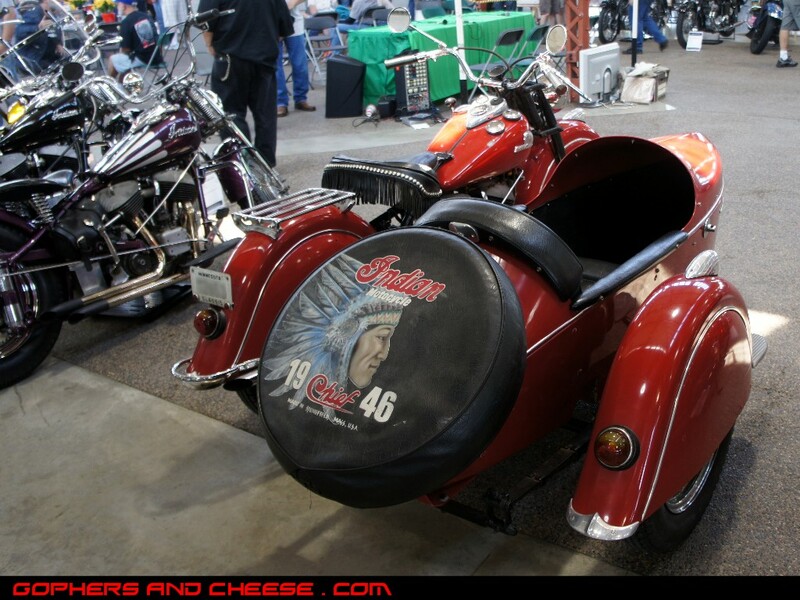 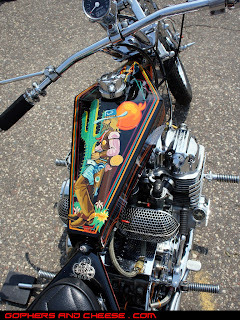 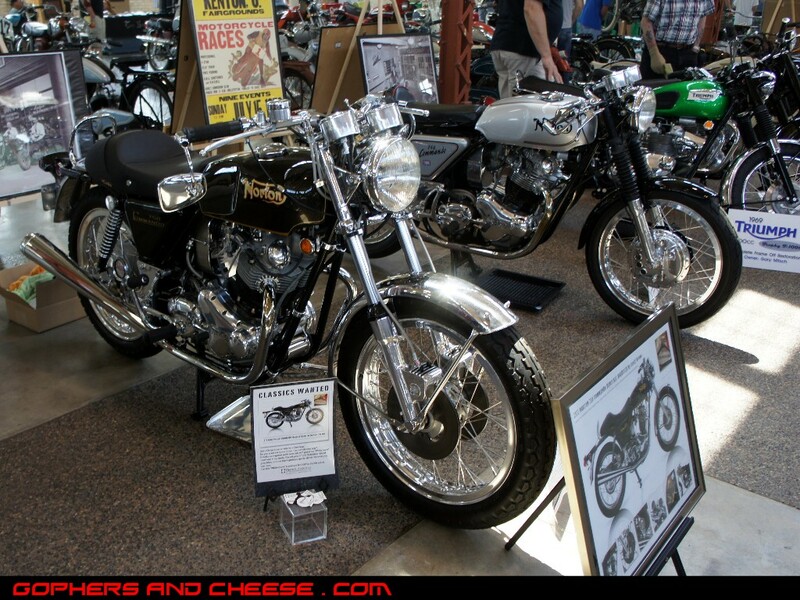 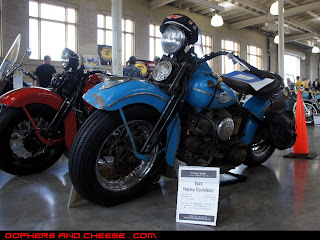 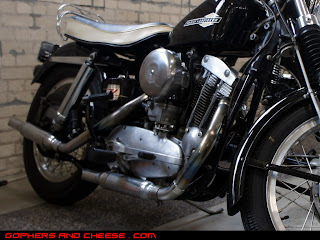 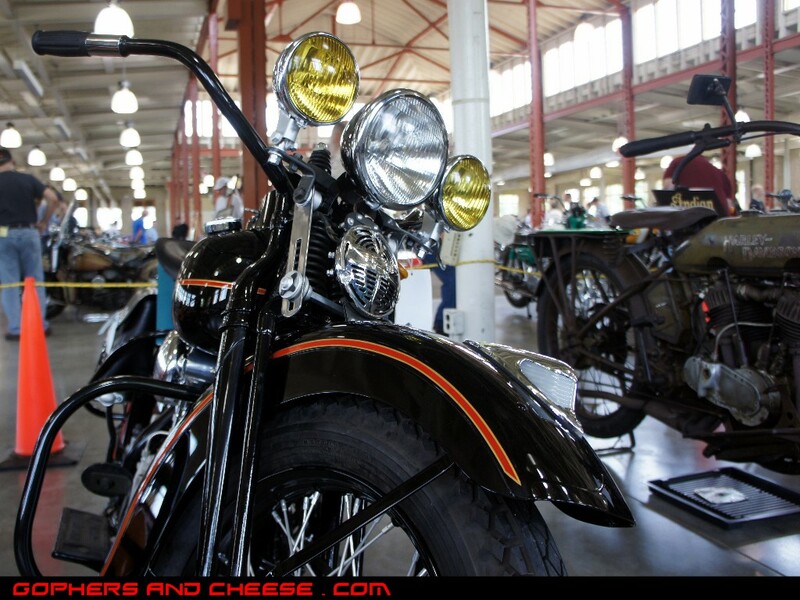 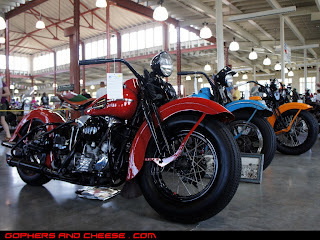 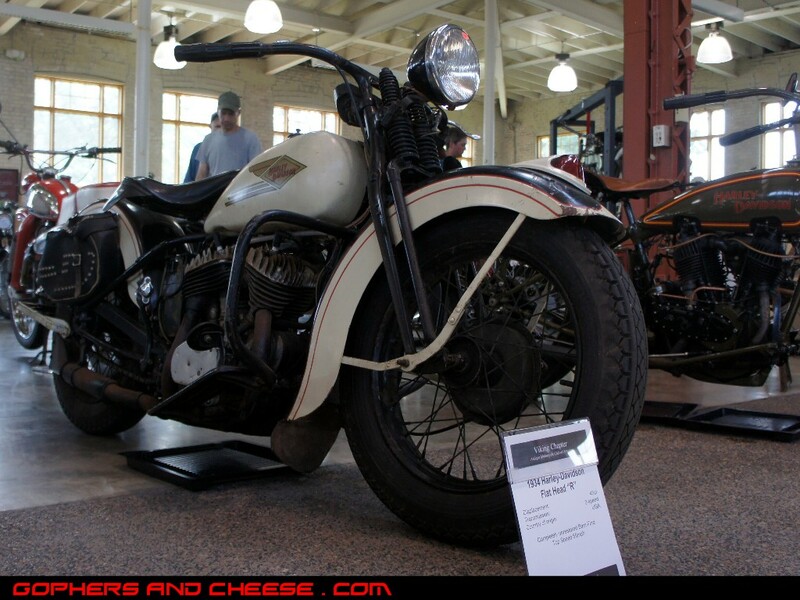 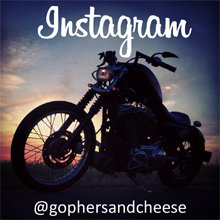 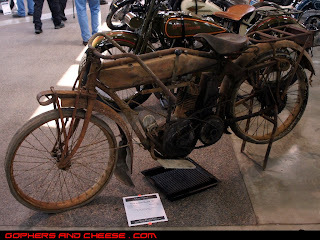 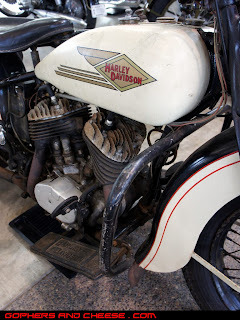 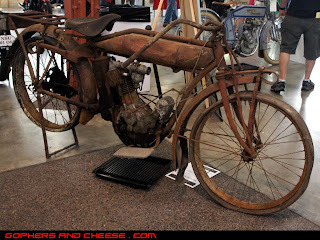 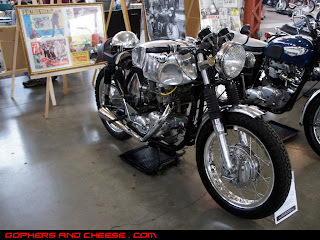 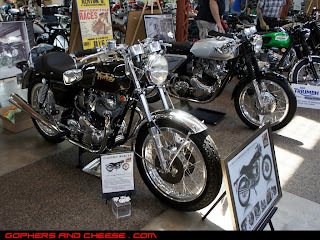 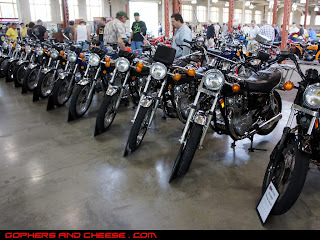 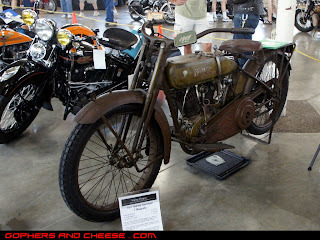 Here's my last set of photos from the 2012 Viking Chapter of the AMCA's Motorcycle Show. The bike that caught my eye as soon as I walked in was this 1912 Harley Davidson X8A. It's 100 years old and beautifully restored. 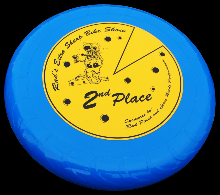 I wouldn't have a clue how to start this thing but I'd bet it would be fun to ride. Not all bikes of this age are museum pieces. 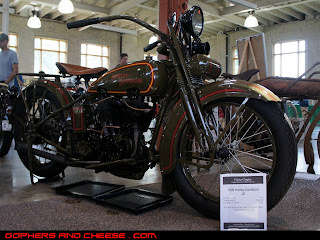 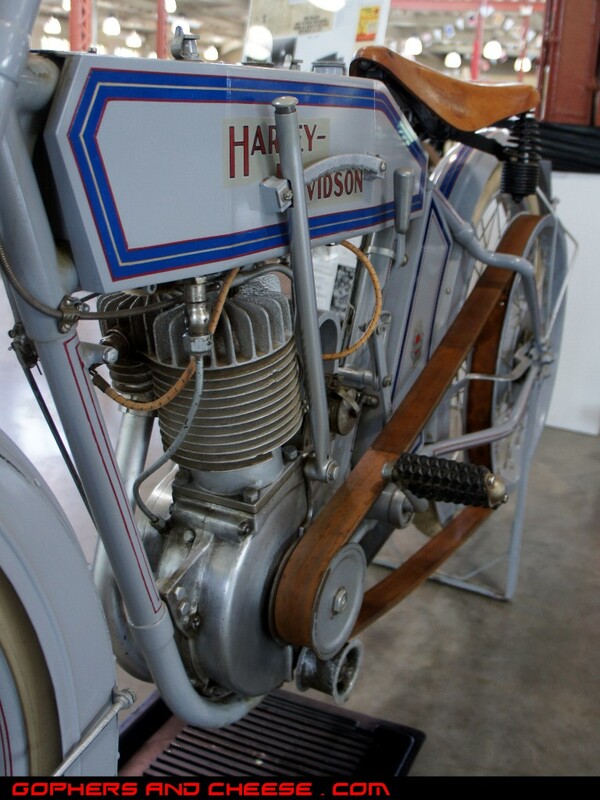 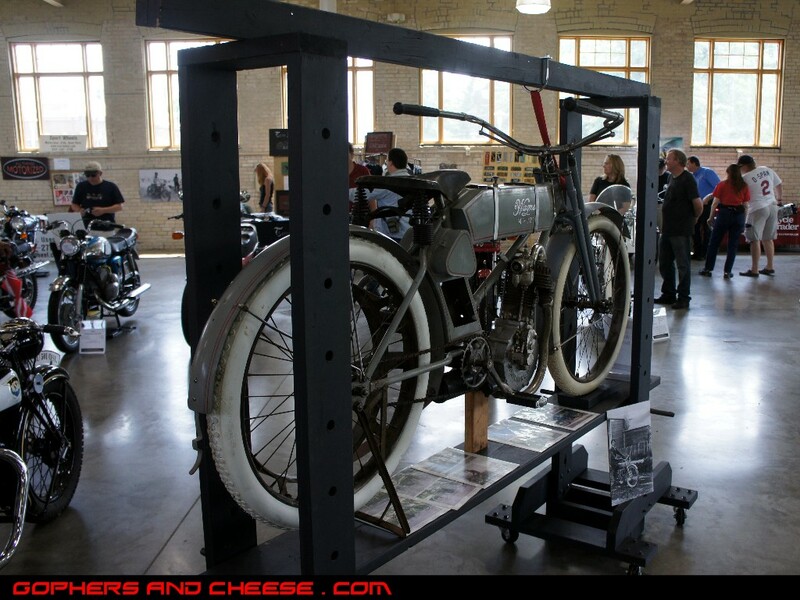 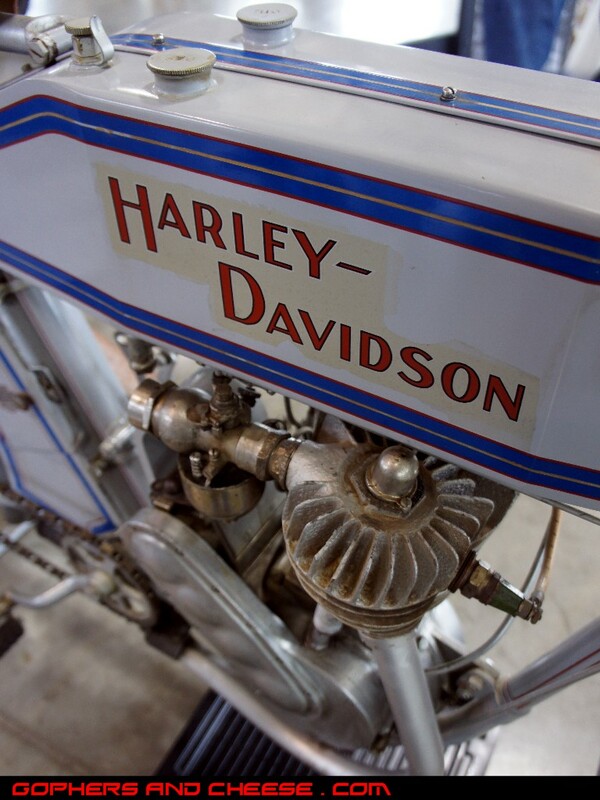 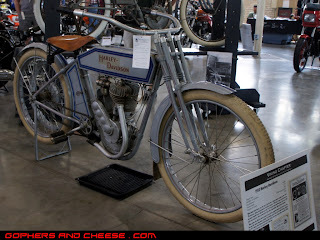 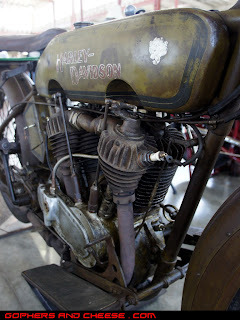 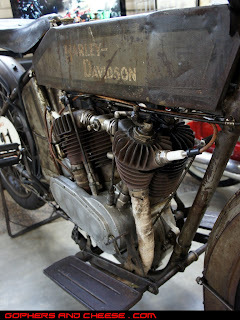 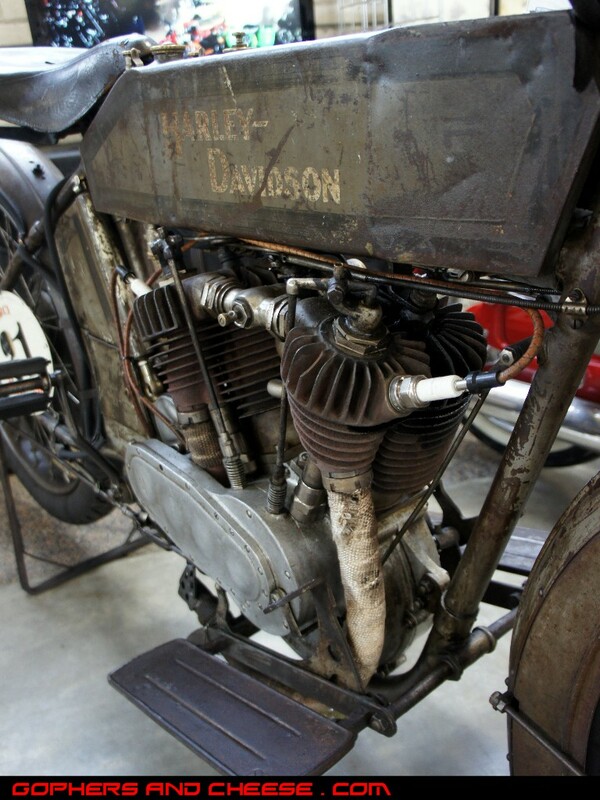 This 1914 Harley Davidson Two Speed Twin was recently ridden cross-country in the Cannonball Endurance Run in 2010. Overall, it was a great show with a lot of interesting bikes on display. 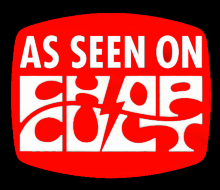 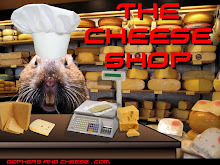 Be sure to check it out next year! The rain had caused the outdoor swap meet area to be muddy which seemed to keep people away. 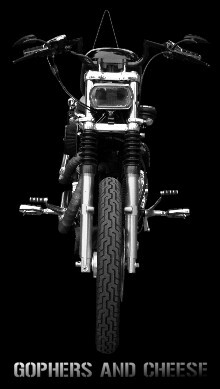 Here's a Triumph from Blue Cat Motors. Speaking of Sportsters... there was an awesome one parked out front. 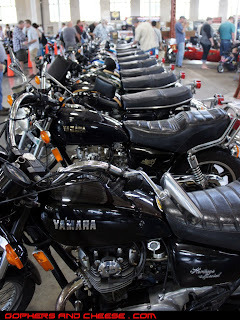 Something I thought was really cool was this lineup of Yamaha XSs. 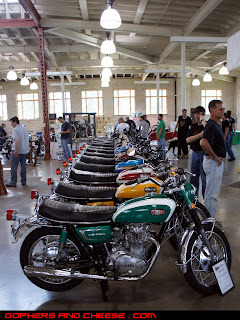 The green one is a 1970 XS1 and they were arranged in model year order all the way up to a 1982 XS650 Heritage Special. 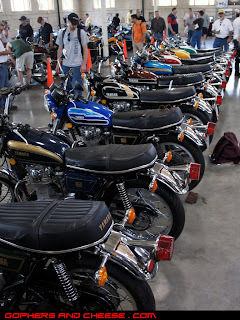 I think 1980 was the only year missing. 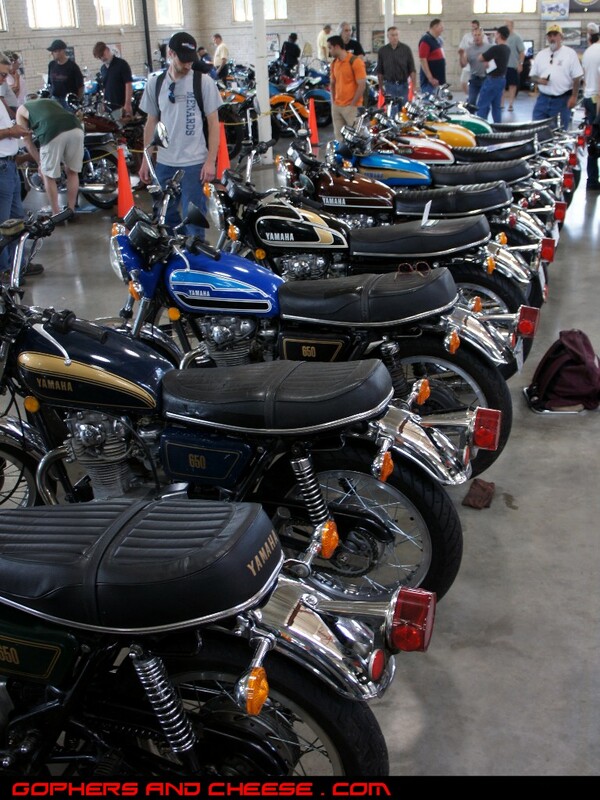 While all those Japanese bikes looked really stock, these certainly don't. 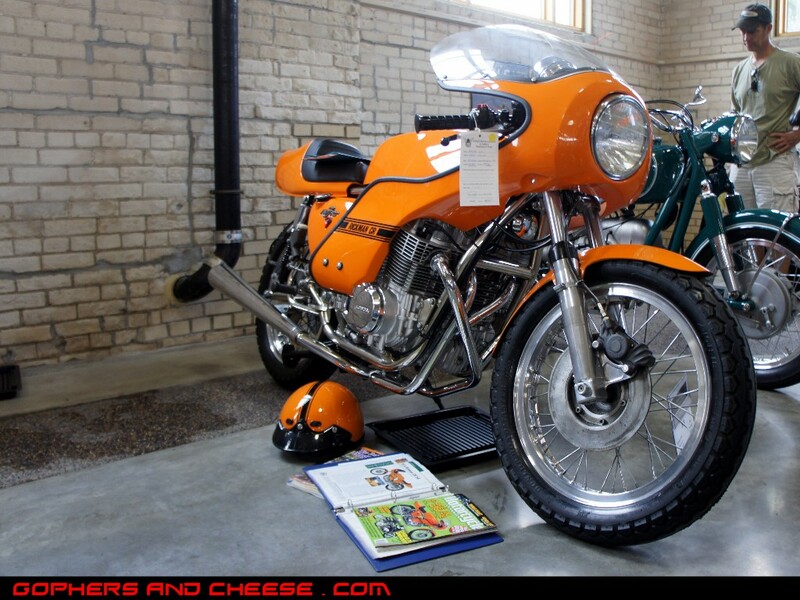 Up first is a 1975 Rickman CR750 with a Honda motor. 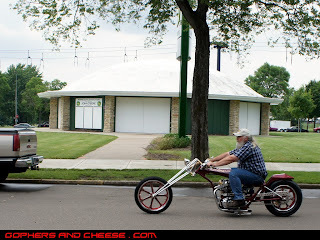 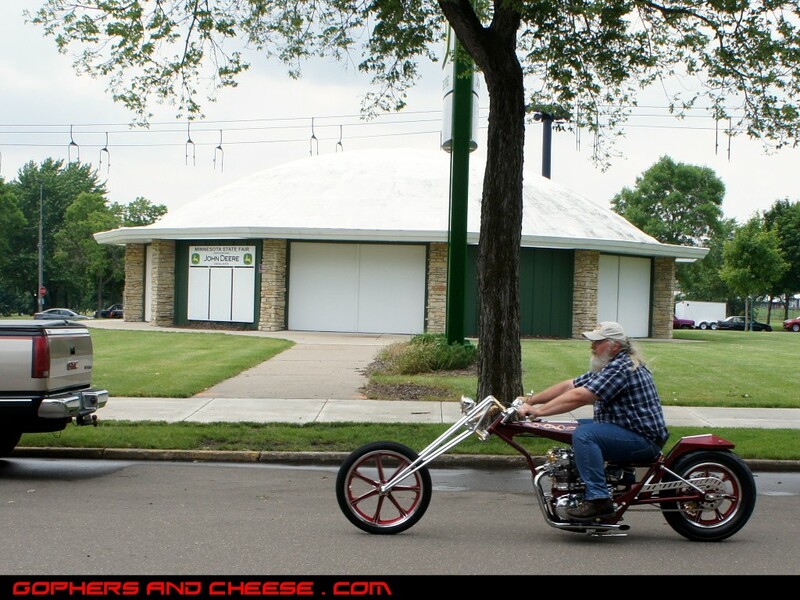 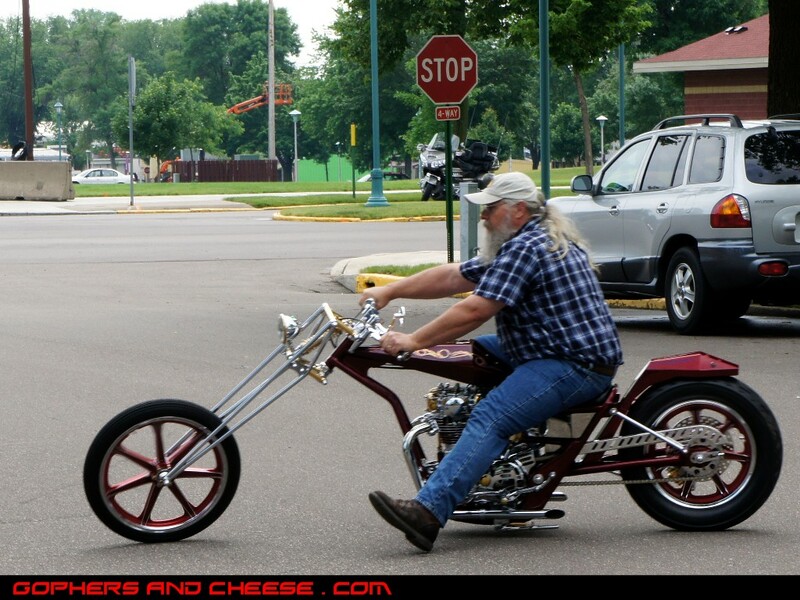 Outside, was this 1976 Honda 750 Chopper with 30 year old paint. 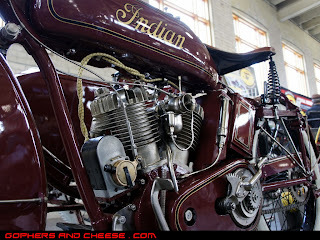 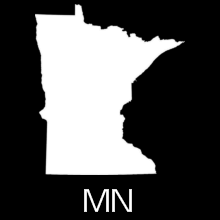 I had seen it before but it's always great to see it again. 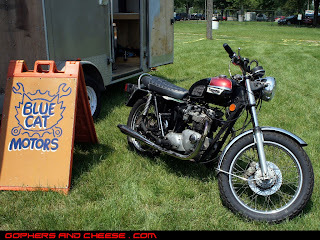 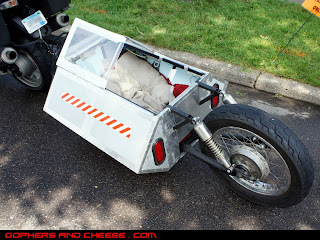 While not part of the show, this Kawasaki stood out because of the homemade dog trailer. 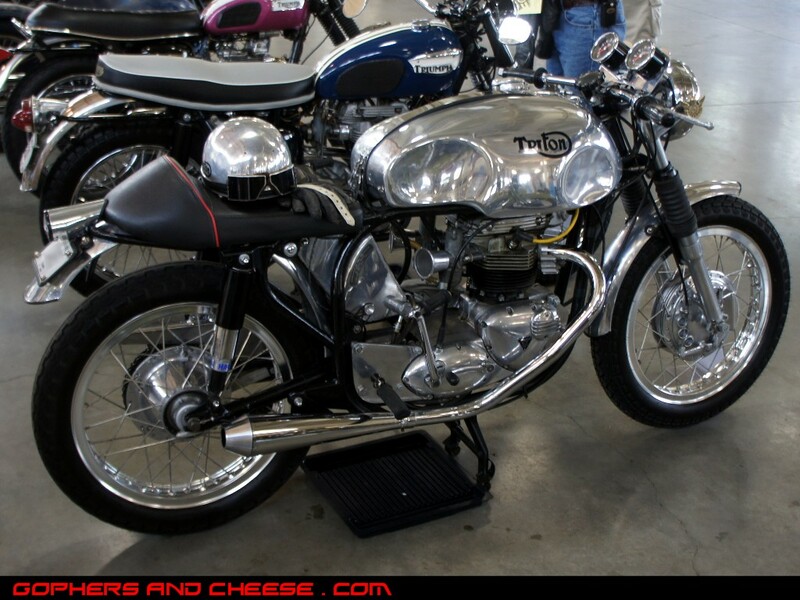 It's nice that the owner fitted a pair of shocks and a windscreen to it. 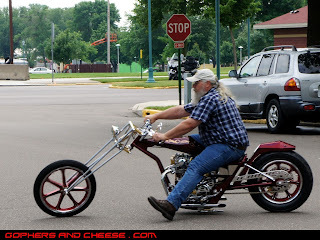 Just as I was leaving (don't worry, I have lots more pictures to post), this guy pulled up on this amazing slammed digger. I was already packed up and ready to leave so I didn't go back for better photos of it. 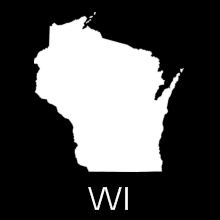 Kinda wish I did. 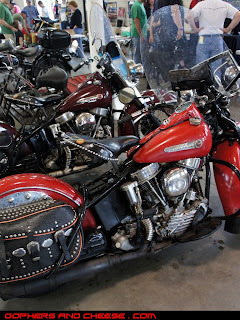 Here are some beautiful old Harleys and Indians.